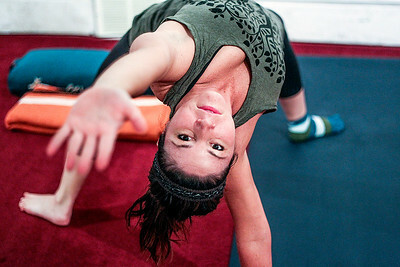 Sarah Nader- snader@shawmedia.com Kathryn Kresic of McHenry takes a yoga class at Nurture Yoga and Massage in Richmond Wednesday, December 11, 2013. Sarah Nader- snader@shawmedia.com Krystle Hope Martin (center) teaches a yoga class at Nurture Yoga and Massage in Richmond Wednesday, December 11, 2013. Sarah Nader- snader@shawmedia.com Krystle Hope Martin teaches a yoga class at Nurture Yoga and Massage in Richmond Wednesday, December 11, 2013. 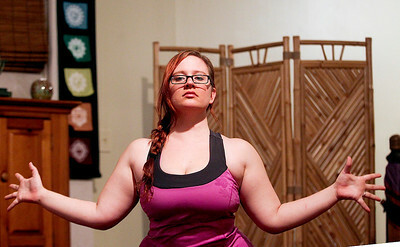 Krystle Hope Martin (center) teaches a yoga class at Nurture Yoga and Massage in Richmond Wednesday, December 11, 2013.